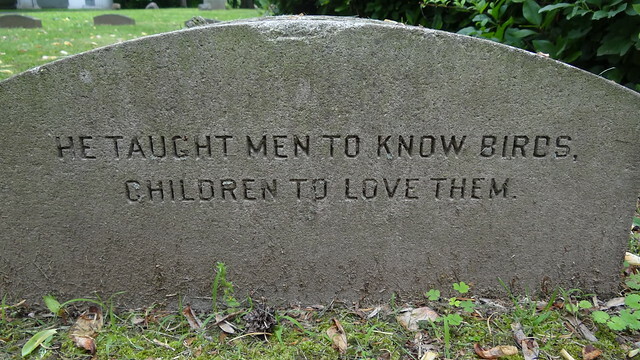 I suspect not, but I’d love to be proved wrong. 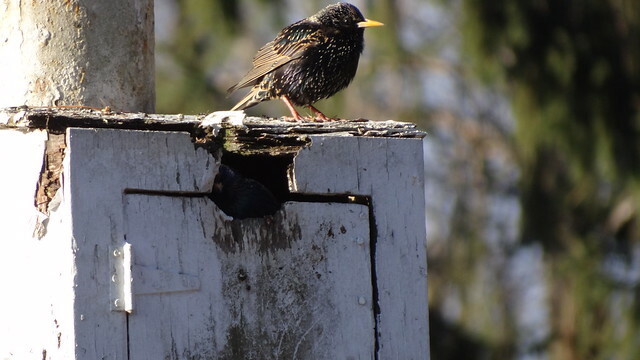 Was there or was there not a literary motive for the successful introduction of the European starling to North America? A Life Bird. In the US. In July. What could possibly make a fine weekend with friends even better? The title of this entry says it all. Not only did we get to spend time with Sally and Frank at their beautiful and comfortable Adirondacks camp, not only did we get to meet several others of their delightful friends, not only did Gellert form an instant and lasting bond with two new canine buddies, but Sunday’s birding led to a lifer for both Alison and me. Saturday evening’s dinner conversation ranged widely and well, with birds prominent but never dominant; all the same, I made sure to listen hard to Pat and John’s excellent advice for our search. 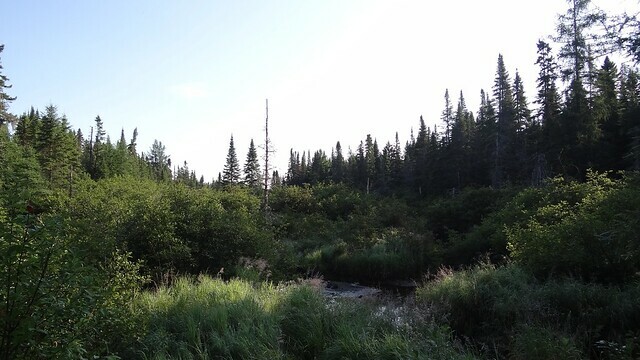 Early the next morning found us on a lovely bog road near Saranac Lake, with magnolia and black-throated green warblers and blue-headed vireos singing all around. We walked and listened, listened and walked, and drove a little farther. And then Sally’s keen ears heard it. 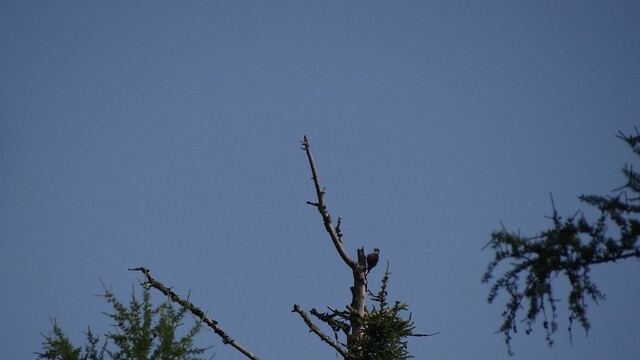 The first bird my binoculars found was a yellow-bellied sapsucker — and the second as well, two of those elegant woodpeckers together in a dead, nearly barkless snag. Immediately beneath them, though, another woodpecker. The woodpecker. 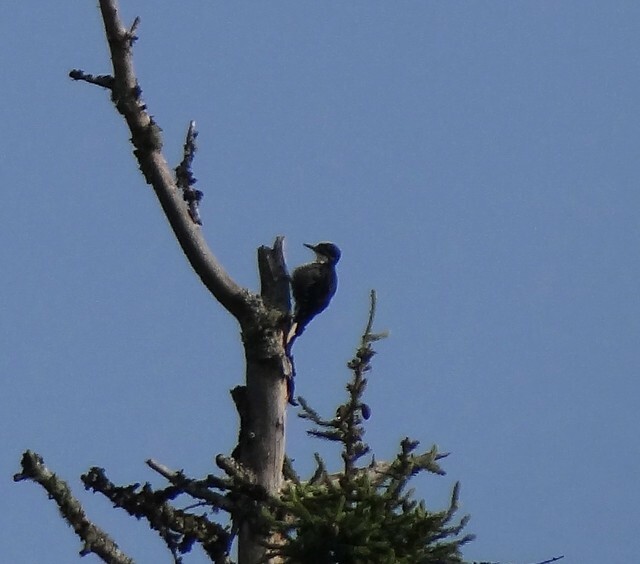 A couple of patient minutes later, and this black-backed woodpecker was right on the roadside, not far above eye level and just one thin layer of trees in from where we watched, rapt and almost unbelieving. He — it took a while for the little round forehead patch to be visible even at such close range — drummed repeatedly, a “tight” series of a dozen or more beats coming too close and too fast together to distinguish and to count. A minute or more passed between drums, when the bird slipped to the back side of his perch and vanished, a sobering reminder of how fortunate we were to be standing on the road when he called the first time. After several minutes of this, he flew back across the road, where he took a high perch in the open, more distant but photographable even for me. Again, he drummed continually, this time less frequently, the intervals filled with short bouts of preening and that golden crown glinting in the morning sun. We left the bird enjoying the sunshine, but he wasn’t alone. Just as he’d been attended by two sapsuckers when we first saw him, it took a scant few seconds for a sapsucker — one of the original two, or a third bird? — to join him in his preening tree, where the sapsucker maintained a respectful three or four feet of distance. What all that was about isn’t at all clear. Though the smaller birds kept their distance, there was no obvious aggression on the part of the bigger black-back, and no clear signs of anxiety on the part of either species. All three of the perches taken by the black-back were in decidedly dead wood, making it seem very unlikely that the sapsuckers were guarding sap wells. A mystery — and one that surely makes it worth seeing this species again. And again and again. 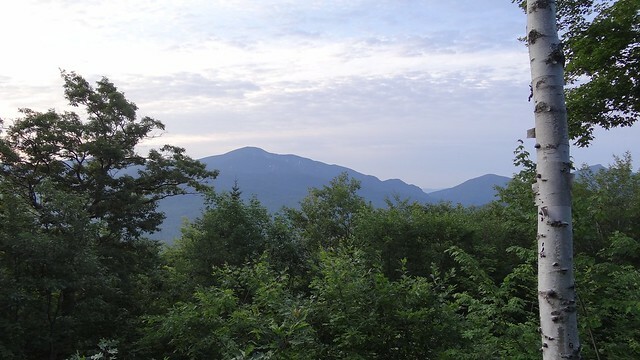 Mark Twain saw a lot of the outdoors over a long life that took him from the Mississippi to California to Connecticut. As I think back on what I’ve read of Twain, though, nature — Nature — doesn’t play much of a role at all. Landscape, even so dominant a feature as Huckleberry Finn’s river, never seems to be more than narrative convenience or metaphoric convention. 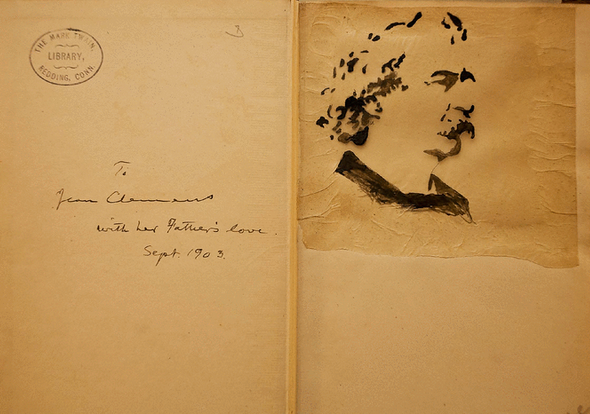 I was surprised, then, to find a notable selection of natural history titles among the books Twain donated to the library in Redding, Connecticut, in the last years of his life. It turns out that most had been gifts to his daughter Jean. She was a loyal friend to all animals, and she loved them all, birds, beasts, and everything — even snakes — an inheritance from me. She knew all the birds; she was high up in that lore. And she learned her bird lore the way most people did in the first years of the twentieth century: from the works of Frank Michler Chapman. Jean Clemens owned Chapman’s Warblers and his 1903 Handbook, two works that remained standards for birders (and ornithologists) for decades. so many were the requests for lectures … that it was not possible to accept all of them. Think about it this way: if Frank Chapman had lived into our celebrity-tainted age, it’s easy to predict which bird bloggers would be elbowing their shrill way to a “selfy” with him. a rewarding task for a young historian with time on her hands. Meanwhile, in this sesquicentennial year, I’m more interested for the moment by Chapman’s life on this side of the Hudson. 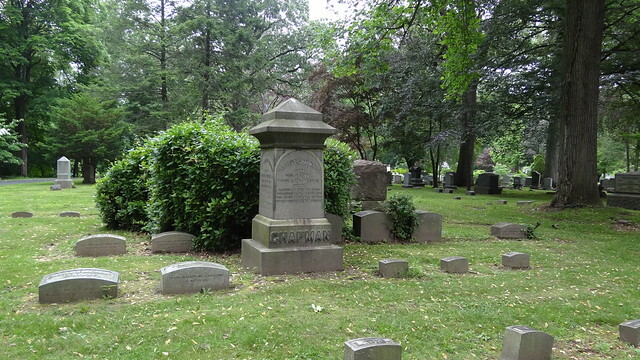 Even most New Jersey birders seem to think of him as a New Yorker, but Chapman was born in West Englewood, just back from the Palisades, and he was buried in Englewood’s Brookside Cemetery on his death in November 1945. 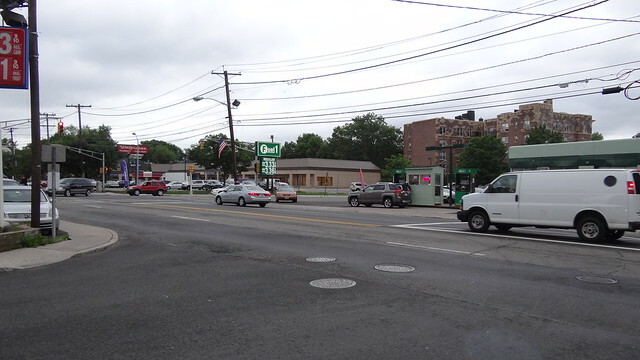 So what do Frank Chapman’s boyhood haunts look like now? A fine house it was, too, built by Chapman’s wealthy parents a year before his birth. This house, and the one that replaced it after a fire in 1890, occupied an old fruit farm on Teaneck Road at West Englewood Avenue. On forty suburban acres, the family kept horses, pigs, poultry, and cows (and though Chapman neglects to mention it, the staff to care for them). The house and barn and other outbuildings were “the scene of many boyish adventures” for the privileged only child. 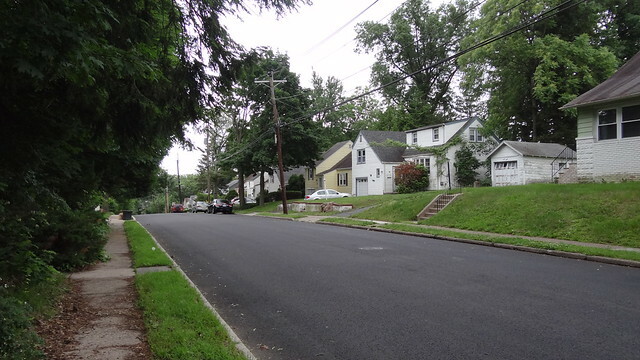 If I read the maps correctly, part of the Chapman estate is now part of Argonne Park in Teaneck. 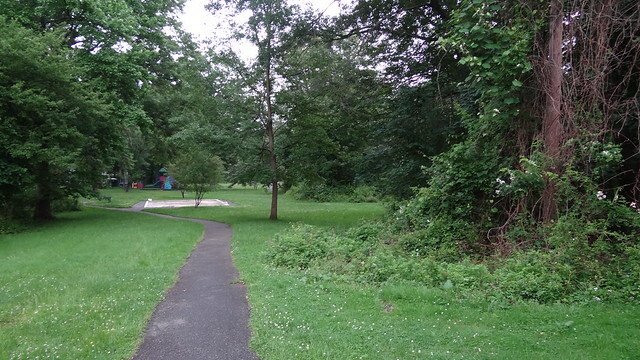 This estate was posted and became, in effect, a bird sanctuary years before this term was used. Whether as gunner or bird student, this was the hunting-ground of my boyhood. 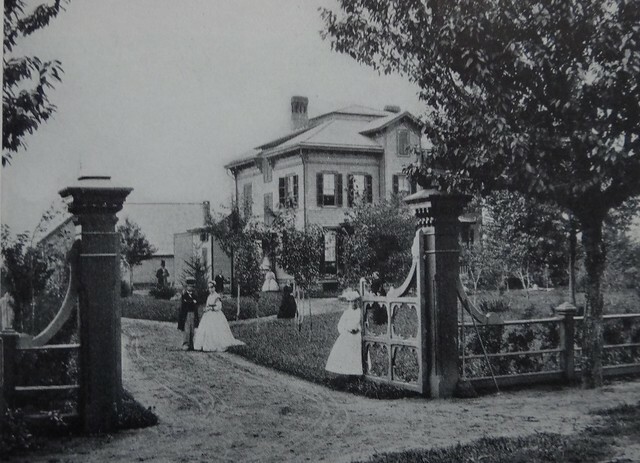 The Phelps mansion, too, burnt, in 1889, but was not rebuilt. The ruins were finally demolished in 1925, and Teaneck constructed a new municipal complex on the site of Chapman’s boyhood playground. 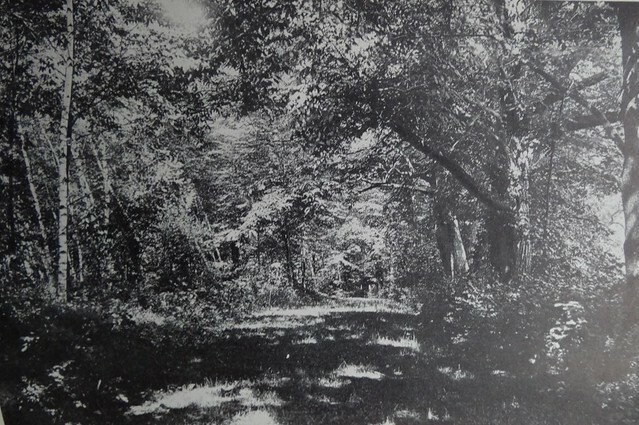 there were extensive forests penetrated only by wood roads, and a brook where trout could be found. 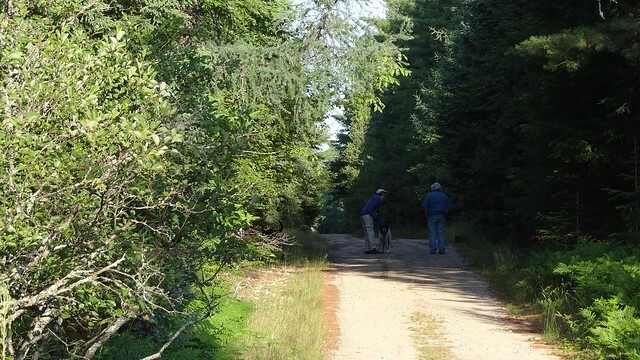 Beyond, on the slopes reaching up to the crest of the hills overlooking the valley of the Hackensack, were fields partly grown with red cedar, bayberry and sweet gum. as good collecting ground as there was in the New York City region. The woods surrounding it stretched for miles north and south, forming a highway for the diurnal journeys of migrating birds. No wonder you love birds! 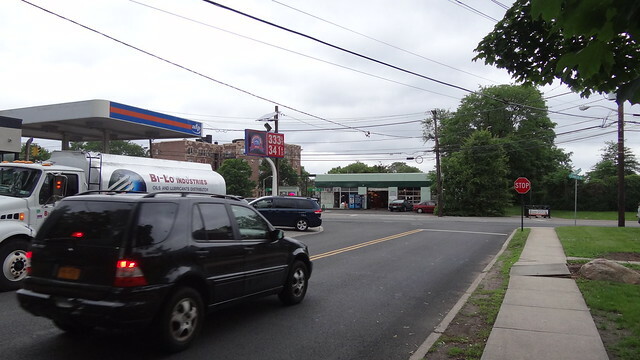 Two slender slivers of wooded parkland now flank the railroad station where the Sage of Slabsides disembarked. Neither remnant is especially promising for the birder. Chapman himself saw the future. Sadly I saw the forests fall and the fields erupt flimsy cottages… I had not the heart to witness the rapid dismemberment of haunts on which I had held a “rambler’s lease” so long that they seemed to be mine. and the Chapmans “took refuge in New York City,” with periodic escapes to the Catskills or to Panama. Not until death overtook them — Fanny Embury Chapman first, in September 1944, followed by her husband in November 1945 — did the Chapmans return to Englewood for good. 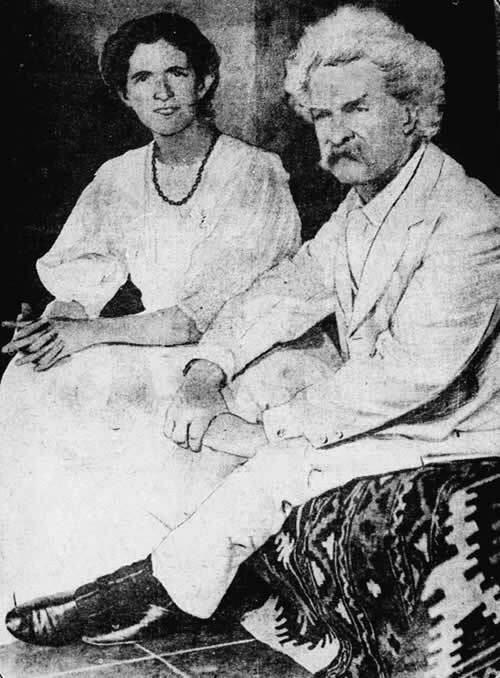 Mark Twain and Jean Clemens had been dead a full generation by then. Roger Tory Peterson’s Field Guide was almost a dozen years old. 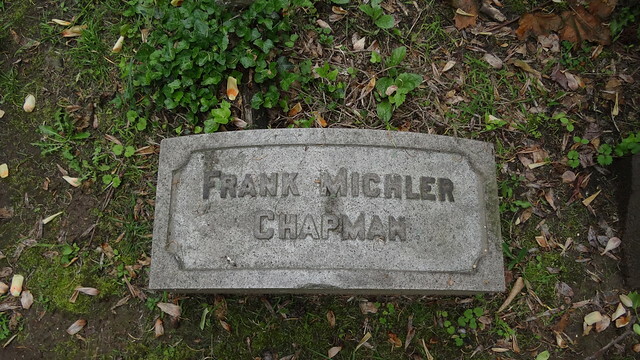 But Frank Chapman even in death remained a powerful force in American conservation and birding. He deserves to be remembered, especially by those of us who live in the state where he first saw the light of day.